Anxiety can make living your everyday life a struggle. Recently, I’ve been traveling a lot and it has made managing my anxiety even more difficult. 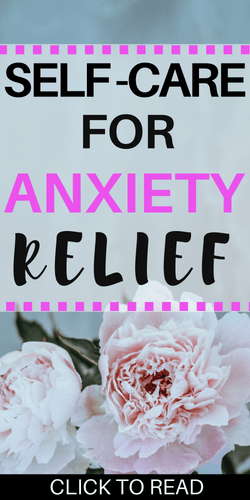 Check out my self care for anxiety relief if you need some ideas to help manage your anxiety. Sometimes just going for a walk around my neighborhood can help me shake my anxiety. Put some music on your headphones and just zone out for awhile. If you have a friend that you’ve lost touch with or if you have a close friend that cheers you up reach out to them. I always end up calling my Mom. I don’t usually watch TV but sometimes when you’re anxious it’s nice to just give yourself permission to spend the afternoon on the couch in front of the TV. When my anxiety is bad and I have to go to work or school I do a lot of breathing exercises throughout the day. I’ve been practicing meditation lately and I am slowly getting better at it. 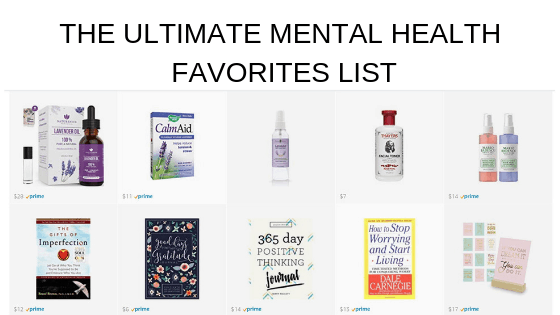 It seems to be really helpful in managing my anxiety. When I’m stressed or anxious I like to do a long yoga session to try and get my mind off of it. Ask yourself if worrying is really going to help your situation. Don’t let your thoughts run wild and make your anxiety worse. I like Beyonce but to each their own. Get unlimited ebooks and audiobooks from Scribd and read ALL the things. I like to listen to books and podcasts while I clean my house. There’s something about multitasking that makes me feel magical AF. Journaling is one of my favorite self-care practices. I write in my journal first thing in the morning and right before I go to sleep. Affirmations are a powerful way to rewire your brain and get some positive thoughts flowing. Mindfulness can help you find more joy in your everyday life. I do these when I’m having trouble falling asleep at night. Exercise is my favorite self-care practice. If you don’t feel up to doing a whole workout just do an easy ten-minute workout. I’ve been taking a ton of baths lately and I love it. I like to read books and just chill out for awhile. I’m partial to dogs but cats work too! to infuse mint and fruit into my water. I am really trying to drink at least four water bottles a day. I am messy AF but taking the time to organize my space makes me feel amazing. I love waking up in my room after I’ve cleaned the heck out of it. There’s something really comforting to me about tea. My therapist has changed my whole damn life. I use BetterHelp to talk to a therapist via text and video chat. I’ve been really into zucchini noodles but it can be whatever healthy meal you like. Sometimes it’s nice to give yourself a reminder that you are safe in the present moment. This is my favorite way to reset a bad day. Sometimes when everything just feels like total crap you need to just sleep it off. I just bought a ton of markers and stickers to use in my planner and it is my favorite thing ever. It sounds cliche but this too shall pass. Write it somewhere you will see it and resolve to wait it out. Puzzles are a great way to keep your mind focused on something else besides worry. If I don’t feel like writing I will draw and doodle in my journal. Create an alter or a cozy space with pillows and pretty things you can cuddle up in. Getting outside can really change my whole mindset. Crafts can be a great way to distract your mind and give you something to do. I love doing random acts of kindness to lift my mood. I am obsessed with good standup comedy. Thank you for sharing this wonderful blog about anxiety.